A portfolio landlord is defined as a person who has invested in four or more Buy to Let properties. Latest research shows that there are more rented homes in the UK than ever before (4.9 million in 2015 compared with 5.1 million today.) However, there are fewer landlords (3.72 million in 2015 compared to 3.56 million today). What’s more, the number of landlords who own 10 or more homes has risen by a third (33%) in the last decade (2007 to 2017).1 Therefore, these changes are likely to have a large impact on a significant sector of the market. The Bank of England’s Prudential Regulation Authority (PRA) has introduced new regulations which mean that, when applying for a new Buy to Let mortgage or remortgaging existing properties, portfolio landlords will have to provide full details of their assets and liabilities, as well as all other mortgages on their various properties. They will also be required by some lenders to set out a business plan to secure borrowing and – in many cases – loan to value ratios will slide well below previous highs of 85%. Lenders will be adopting a special underwriting process to carry through these applications and ensure property investors are not over-exposed to risk. Alongside the PRA regulation changes, mortgage interest relief is being cut for landlords from 2017. From 2020 the maximum relief will be restricted to the basic rate, regardless of the individual’s tax bracket. What about if I own my properties in a Limited company? If Buy to Let properties are owned in a limited company, then 100% of mortgage interest costs can be offset, and the rate for Corporation Tax is lower than for individuals, dropping to 17% by 2020. Profits can be retained within a company for reinvestment and the new Dividend Tax provisions mean that the first £2,000 drawn as a dividend from the company is tax-free, (Dividends above this will be taxed at 7.5% (basic rate) 32.5% (higher rate) and 38.1% (additional rate)). Should I transfer my properties into a Ltd company? It’s not necessarily as simple as it may seem and the perceived savings may not be as expected. For instance, if you own a Buy to Let property as an individual and transfer it into a Ltd company, you’ll be liable to pay stamp duty on the transaction and take into account any capital gains made on the property. As an example, a £1 million property bought for £500,000 could cost around £180,000 to transfer into a company. On a day-to-day basis, how is this going to affect property investors? Detailed breakdowns of the landlord’s property portfolio, detailing the location, type and style of their existing properties, their values and rental incomes, whether they’re homes of multiple occupancy (HMOs) and the number of bedrooms. Set out a business plan which includes a formal statement of their goals, the reasons they are attainable and how they plan to reach them. Similar to other lending scenarios, a business plan will help the mortgage underwriter understand a landlord’s competency and experience, as well as their current approach to management and investment alongside their future plans. A good broker will help landlords with this process and ensure all the boxes are ticked and the correct information is given to ensure the application process is as smooth as possible. How will mortgage lenders decide on the viability of applications? Currently, all basic rate taxpayers are tested at an Interest Cover Ratio (ICR) of 125%. With these changes, portfolio mortgage lenders are announcing different ICRs for basic, higher and additional tax rate payers in their Buy to Let mortgage terms. There are also different ICRs for companies, some lenders will look at scenarios on a case-by-case basis and create bespoke ICRs. If you work with a broker who has good relationships and an extensive network of lenders, they should be able to find a bespoke mortgage or remortgage solution for every landlord. How can landlords ensure they’re getting the best deal? For many portfolio landlords, it will be business as usual if they work with a broker who has an appropriate network and bespoke approach. There are more options than ever before to secure large mortgage loans, allowing Buy to Let property investors to take a creative approach to complex lending structures. What’s your advice for landlords? Borrowing is going to slow down at an incredible rate, but that should add to competition. Lenders will be fighting for business and that will mean keeping their rates low for the foreseeable future, which will at least provide some relief for landlords in this new and more challenging environment. Private banks and some building societies will create individual solutions and pricing at lending levels over £3 million. The opportunities are there for the taking; they just need to be sought out. There’s certainly no reason for Buy to Let portfolio investors to feel alarmed. In fact, they should feel encouraged by the increased opportunities. Some regulatory elements will be more challenging, and there may be some rationalisation, but that will lead to new beginnings, seismic change in the property market and fresh thinking.  Click here to find out how we arranged a bespoke £7.32 million Buy to Let Portfolio remortgage for one of our clients. Financial Conduct Authority does not regulate some aspects of Buy to Let mortgages.